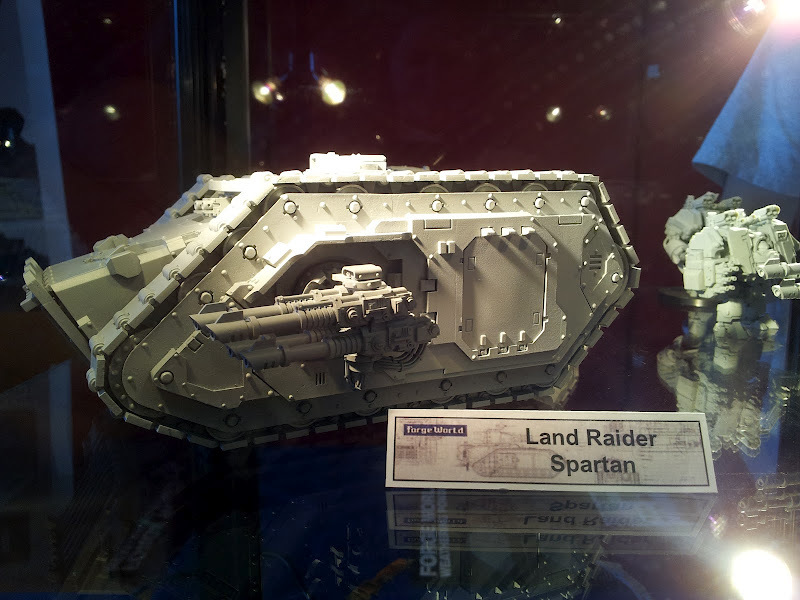 Another gem from the Forgeworld Open Day, the much rumoured return of the Land Raider Spartan. Forgive the photos, they aren’t mine. As you can see it’s a big bugger, but no surprise considering it’s designed specifically for transporting Terminators. And yes, that’s quad lascannons mounted on the sponsons. After some digging around I found some test rules from late last year. They’re by no means official. 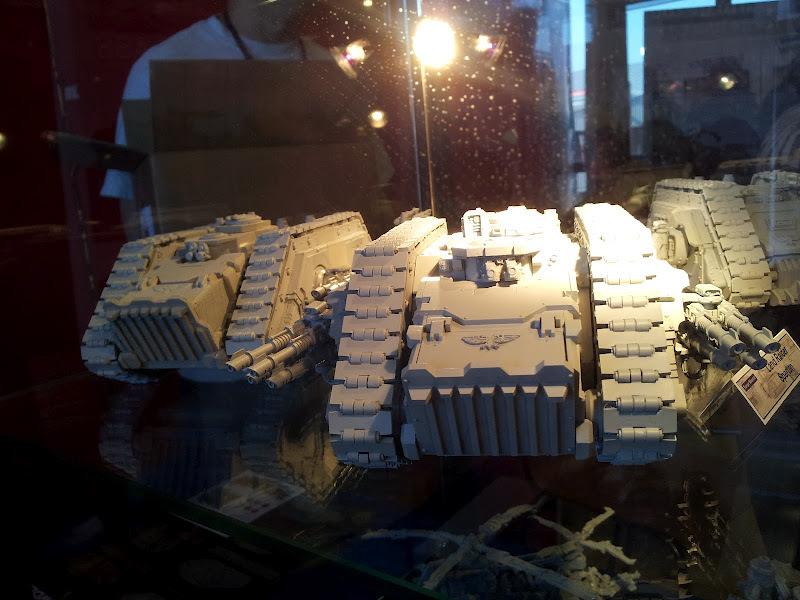 Or even officially unofficial from Forgeworld. But at least it’ll give you an idea of what to expect when the Spartan is unleashed upon the foes of the Emperor. Spartan Assault Vehicle: Counts as open topped for embarkation & disembarkation purposes, but not otherwise affected by this rule. Units entering combat directly from the Spartan also count as having offensive grenades. Discuss it on The Shell Case forum.